The recent releases of several experimental double bass players - New York-based James Ilgenfritz and Sean Ali and Danish, Berlin-based Adam Pultz Melbye expand the sonic vocabulary of their instruments beyond the now common usage of extended bowing techniques and preparations. 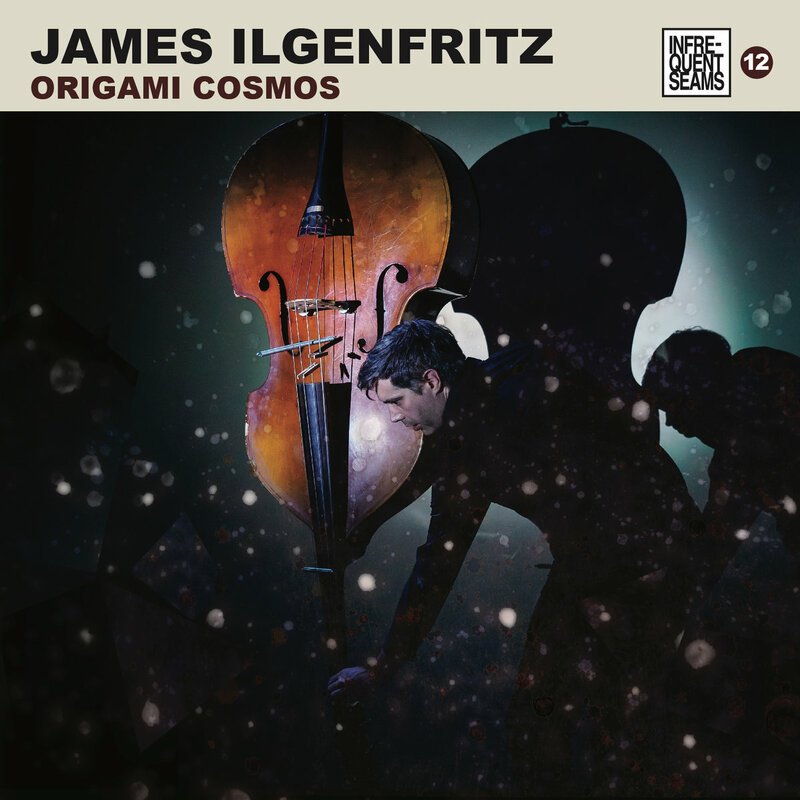 James Ilgenfritz is a composer, improviser, and educator who has composed music for dance, jazz groups, and chamber ensembles. He leads the experimental new music group The Anagram Ensemble, for which he composed the William Burroughs-inspired opera The Ticket That Exploded (Con D'Or Records, 2015). Origami Cosmos is his second solo double bass album, following Compositions (Braxton) 2011 (Infrequent Seams, 2011), offering his brilliant interpretations of compositions of Anthony Braxton. 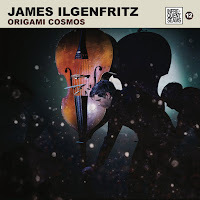 On Origami Cosmos Ilgenfritz collaborates closely with four New York composers, all also experienced performers - Annie Gosfield, Miya Masaoka, JG Thirlwell and Elliott Sharp - with whom he has worked before, in order to explore the fertile territory between composition and improvisation. These composers blended their unique vision of the double bass with Ilgenfritz's highly personal approach to the bass. Godsfield’s “Rolling Sevens And Dreaming Elevens” rearranges Ilgenfritz distinct bowing and pizzicato techniques into a provocative texture that blends patient exploration of rich multiphonics with sudden, urgent rhythmical attacks. Masaoka’s “Four Moons Of Pluto” is a hypnotic drone built on sustained harmonics and microtonal tunings derived from just intonation that radiates a delicate, lyrical beauty. Thirlwell’s “Xigliox” is the most complex, hyperactive piece. It suggests an imaginative array of sonorities based on double stops and brief melodic phrases, integrating interpretive freedom with intricate polyrhythms, constantly moving between precision to frenetic abandon and, obviously, stresses Ilgenfritz commanding technical virtuosi. Sharp’s “Aletheia” is the most radical sounding piece. It dictated the employment of various combination of multiple bows - from the the standard bass bow to metal springs to bows made from ball chains - on a prepared bass in order to create constant shifting, schizophrenic textures made of bizarre, otherworldly sounds. Fantastic, deeply personal tour-de-force of musical invention. New York-based Sean Ali collaborated recently with Ilgenfritz on sound artist Lea Bertucci’s All That Is Solid Melts Into Air (NNA Tapes, 2017). Ali also plays in many ensembles, among them Natura Morta (with viola player Frantz Loriot and drummer Carlo Costa), PascAli (with fellow bass player Pascal Niggenkemper), and in various multidisciplinary projects such as Phantom Circuit (with photographer-video artist Wenxin Zhang) and Two Impulsive Instruments (with Butoh dancer Azumi Oe). 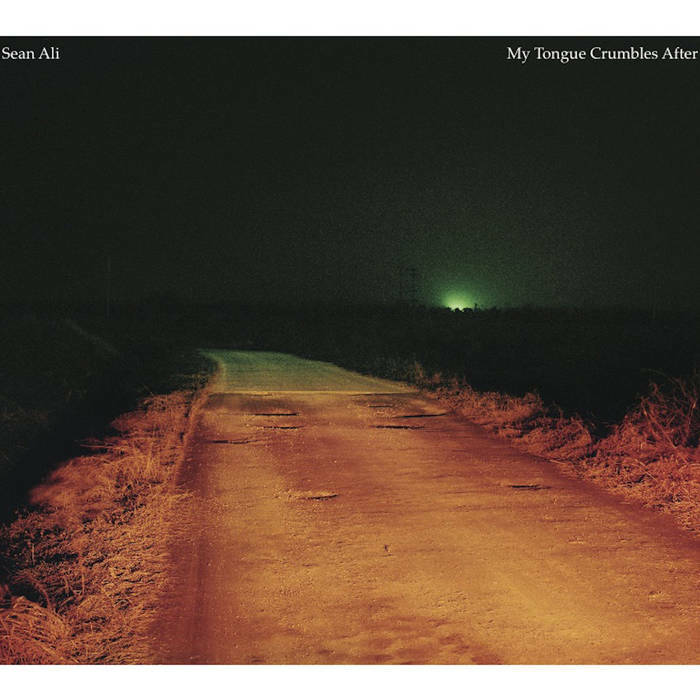 My Tongue Crumbles After follows Ali's solo cassette, With My Head in the Sand (Wee Space Tapes, 2016). 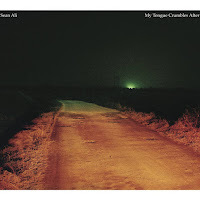 Ali says that the album title “refers to an image that came to my mind in which my tongue turned to stone and then began crumbling with every subsequent effort to talk. It conveys my anxiety about the futility of ‘saying something’ in our digital age that has amplified chatter to deafening levels and reduced listening to nil”. The eight improvisations construct an arresting narrative that confront his endless interior monologues - reflected by tape collages assembled from field and voice recordings - with the music he produces. This narrative suggests a rich, imaginative improviser vocabulary, often with preparations and extended techniques that extend the sonic spectrum of the bass. Ali's improvisations explor forms of architecture, development, timbral search and techniques. “Missing Persons Report” and “Beneath the Cobbles” stress Ali masterful bow techniques, alternating between nervous, buzzing work that creates a string of overtones and sustained and distorted work that suggests industrial noises. The bass interplay with the sound collage of “Heartstack” creates a haunting cinematic soundscape. The preparations of the bass on “Lime Works” transforms Ali's bow work into a series of deep-tones, resonating-explosive sounds. The closing piece, “Hunger”, is a meditative, bowed drone that patiently gains more depth and volume, showering the listener with streams of slow, resonating sounds. Paul Stapleton is an American sound artist living in Belfast who plays the Bonsai Sound Sculpture, a portable, modular instrument created by himself and Neil Fawcett, combining a repurposed turntable, DIY electronics, amplified metallic percussion and strings. Here he plays with Danish double bass player Adam Pultz Melbye. Both Stapleton and Melbye share similar interests in things that vibrate and resonate, exploring extended techniques and blending acoustic and electroacoustic structures. Their duo was recorded in Belfast on March 2017 and is released on Melbye newly-founded label Noema. On the first three free-improvised pieces Stapleton’s Bonsai Sound Sculpture cleverly expands and mutates Melbye’s extended bowing techniques. Often Stapleton twists and launches Melbye’s methodical, nuanced and patient bow work into a chaotic and rattling, colorful-sounding playground that intensifies the resonating qualities of both the double bass and the Bonsai Sound Sculpture metallic structure. 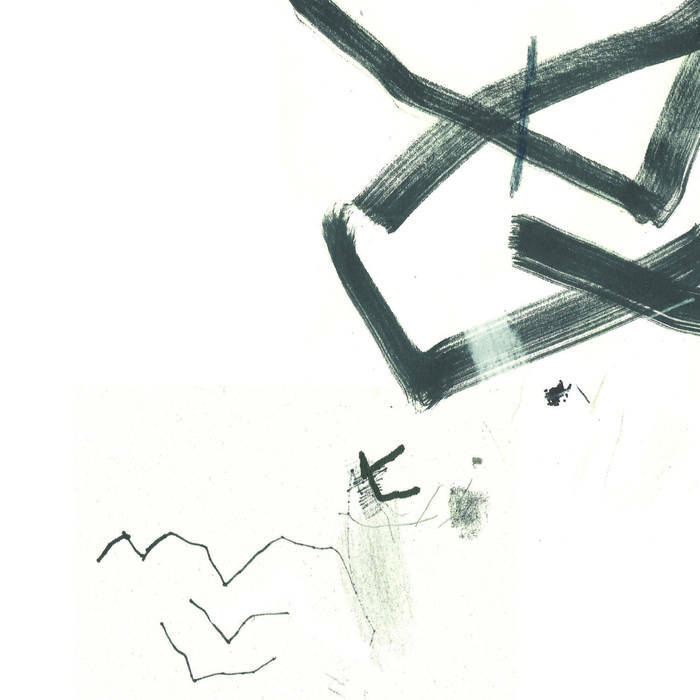 On the fourth free-improvisation, “Latch”, Stapleton and Melbye adopt a minimalist, almost silent approach that aims in finding common sonic ground, creating a deeper, meditative impact. On the fifth and last piece, “Büll”, Stapleton plays on on the medieval triangular bowed string instrument tromba marina and joins Melbye in deepening this vibrating and provocative excursion into untimely, deep-toned and open-string harmonics.